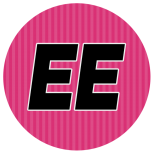 Engaging Epiphanies | We engage you… Entertainment, Encouragement, Inspiration, Education and Shenanigans. All on one blog! Bad Boy Reunion Tour is Coming! 12 Play Indeed… Shame on Soul Train! Who’s In Front of You? It doesn’t matter!